Welcome to the Griffith, IN dental office of Christopher Gall, D.D.S. 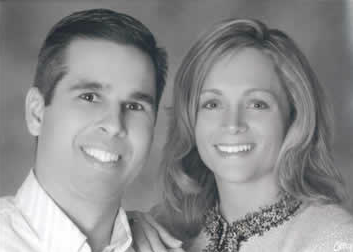 Dr. Gall has been practicing family dentistry in Griffith for over twenty years. He and his team are committed to creating positive patient experiences and providing care to maintain a problem-free smile for a lifetime. His practice focuses on prevention and conservative dental procedures, allowing patients to have the confidence that comes with strong, beautiful smiles. Whether you are an old friend or someone new to our practice, thank you for visiting our website. Contact our Griffith Dentist, Dr. Christopher Gall today at (219) 838-5111. Dr. Gall and his long-term professional staff members have been providing friendly care to patients for years. We make it a point to help patients feel comfortable and take time to explain their personalized plan, whether they have questions about the procedures themselves or financing their care. Our office is dedicated to comfortable care. We remain organized and efficient when assisting patients, allowing our team to successfully meet scheduled appointments. Our dentist and team understand that your time is important. In addition to on-time visits, we also offer Saturday dental appointments so you can fit dental care into your busy schedule. We offer truly personalized dental care and pledge to listen to your goals and needs. We are dedicated to providing state-of-the-art dentistry in a modern, clean facility to support this promise. When necessary, we refer to highly-qualified, respected specialists to ensure your health and the longevity of complex procedures. Your comfort is important and extends beyond our physical environment. During appointments, we help you understand your options and pick treatments that make you feel most confident. We believe every patient should know what we plan to do, why we are doing it, how much it will cost, and how long it will take -- before we begin treatment. Throughout each visit, our friendly, knowledgeable team works to satisfy your needs. Questions? New Patient? Contact our Griffith dental office for your next appointment!